Welcome to this episode of The Empowered Living Show. 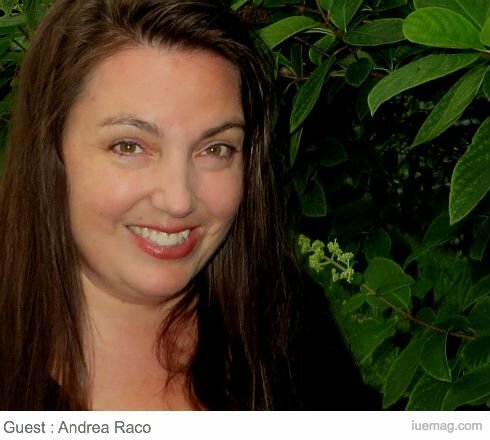 My guest, Andrea Raco believes time is the real currency of life. She shares from her own story why she believes you shouldn’t wait to create your own masterpiece life. Andrea talks about the importance of overcoming your setbacks and your challenges. She talks about the how the little gremlin voice and the fears you have hold you back. She says once you can overcome your challenges, you’ll find freedom on the other side. She’s discovered that all the fumbles and missteps that have occurred in her life have been valuable which she’ll share in this interview. Andrea explains to listeners how to create a life by design rather than creating a default life. She shares her own story that has proved to her that the relationships in your life are really what determine your happiness and that the first relationship that needs to be nurtured is with your own self. Andrea explains that your resources are not just monetary. The true currency of life is time. Andrea Raco is a former Insurance Broker, Mom of four, wife of a lymphoma survivor, breast cancer survivor, creative wordsmith and a certified Personal Success Coach. Founder of Coach for Life. 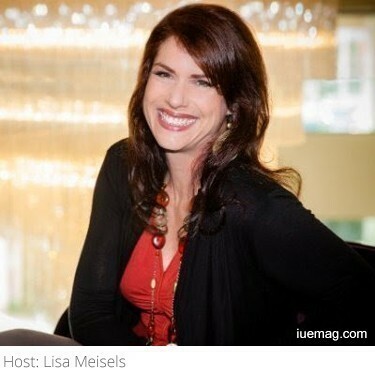 today she inspires women to Create a Masterpiece Life based on their unique vision for ultimate success by blending time-tested strategies and co-created solutions. Andrea came from a broken home with her mother’s words that she wouldn’t amount to anything ringing in her ears. Her childhood made her evaluate what she wanted to create for her family. She always had the intention of choosing her life and her life partner by design. First, she had to overcome adversity. She left home at 14 and made her own way in the world. She worked hard to get through University. She had to work a job and she succeeded in making honors and went on to create a career. The gremlin voice kept her going wanting to intentionally create the life she wanted and knew she deserved despite what her mother had told her years prior- that she would amount to nothing. Her father always told her to work hard and get a job. When she finally was deep in her career, she realized she wasn’t happy. She didn’t like her job, she was in a relationship she didn’t love and she was deep in debt. Something she calls miraculous happened right around that time when she was introduced to network marketing. Influencers helped her understand that she could design her own life and that it was possible to reach her dreams. Finally, she could brush the gremlin voice off her shoulders. She was surrounded by positive people which was entirely different from her corporate experience. She currently does not build a network marketing business but feels the strategies she learned during that period in her life were invaluable. She knew it was time to get out of the relationship and job where she wasn’t happy, felt no passion and knew she wasn’t using her gifts. Believing in herself, her dreams, goalsetting and taking measurable action toward those goals allowed her to start creating a life by design as opposed to one that she lived by default. This belief led her to finding the love of her life, building a home for their children and building businesses that help others which they both love. She got married and had 4 kids in 3 years and 3 months (whew). Left her job, let her professional license go and stayed home for 10 years raising her children. When her kids went to school full time, she took the time to evaluate how she wanted to spend the next decades of her life. She decided to become a life coach. Just when she was starting to build her business, tragedy struck her family. Her husband was diagnosed with lymphoma and the outcome did not look promising. Her husband battled for his life and nearly lost. Andrea was facing the possibility of raising her children on her own with her 6-year-old twins, her 8-year-old and a 9-year-old child. She had no professional license and therefore couldn’t go back into the work force as a professional. She hadn’t established her practice yet and she did not know what to do. For a full year, she was under stress and hardship. Miraculously they found the right treatment for the lymphoma just in time. It looked like her children were going to keep their father, that they were out of the woods and were going to come out on the other side. Unfortunately, 13 months later, devastation struck again when Andrea was diagnosed with stage 3-B breast cancer. Her tumor had grown in just 2 years. Her mammogram prior to her husband’s illness was completely clear. She is convinced her struggle and stress contributed to the cancer. It took her some time to go through the treatments and get well again. She was finally able to start building her practice. Looking back, she realizes there were so many lessons about time. When she was facing what looked like the last moments of her life, she was not thinking about how much money she was making or what material things she had. She was thinking about wanting to see her kids grow up and get married and someday having grandchildren. Since that time, Andrea and her family have changed how they live their lives. They make sure they have an annual vacation. They take long weekends in the summer and really enjoy each other’s company. They prioritize travelling to enjoy a slower paced lifestyle in their boat on the waters of Georgian Bay - a dream her husband had since childhood, but had put off for retirement...until cancer beat down their front door. Andrea says you never know when it’s going to be the last day and you never want to take those times together for granted. She is grateful for all her experiences. It’s caused her to re-evaluate her priorities in life. She says that when you’re able to look back and learn from an experience, nothing is wasted. She feels having gone through hard times, she’s come out on the other side a stronger, more resilient and grateful person. She is more appreciative of her family and more present with them. These are important lessons. Her cancer experiences have made her feel more empowered. It has made her family pull together like never before. Getting through the turmoil of her life has given her the gift of making wise choices. Andrea feels that she’s been able to break the negative patterns that were created when she was growing up. She intentionally took a stand from a young age to be able to create her life and it she is grateful for foresight. Andrea talks about what it means to create a masterpiece life. She shares that many of us put more thought and effort into buying a car than we do into figuring out who we are, what we're all about, our core values, our soulmate partner, the family life we want to create, how we spend our time and our money and how to create a beautiful life. She says that many people she’s worked with don't even think about the power they have in being able to create the life they want. She believes everyone has the power to create a life they choose every day, every month and every year. Every morning Andrea sets an intention. She does this for the week every Monday morning and at the beginning of every month. She evaluates it at the end of the day, of the week and the month. She looks at what worked, what didn’t and this way she can evaluate and recalculate along the way. Andrea shares some time-tested success principles such as putting the big rocks into the container first. Prioritize what you need on the schedule so you don’t get distracted. She suggests blocking out your time. Andrea designs an individual program for each client she works with. She takes her clients on the same path that she went through herself. She has seen people that live life by default, falling into a job and not considering their core values. She believes people are able to create a life by design, one that they’ve created in their mind first. Andrea starts working with her clients on their core values and what they want for their life. She uses visioning and other processes, assessments and recommended reading. She has a 4-step process she uses with those that want to find their soul-mate. She works with people who are in a committed marriage and want help. She also works with clients who are unhappy in their career. She believes there is no one-size-fits-all and customizes each program according to her clients wants and needs. She truly wants the best for her clients. Andrea is currently growing her Gold Key Club which is gaining traction. It's a private, by-invite-only community for amazing women to collaborate, share strategies, solutions and inspire each other to win at life and in business. She’s also finally developing a memoir with the working title 'Come Hell and High Water' where she writes about her cancer experience and how it's affected her family’s lives. She talks about time being the real currency in life. Andrea shares the lessons she’s learned which have been invaluable to her and her family. She wants to inspire other women to advocate for their health, be sure to keep up on their self-exams and get routine mammograms. She realizes that it was the mammogram that saved her own life within 0.5mm. She encourages people to persist if they feel something is wrong. Personally, she felt nothing. She states there was no lump because her tumor was constructed like a sponge so it was undetectable by even her oncologist. She believes her stress and fatigue may have masked her being able to feel if something was off in her body. Be an advocate of your own body. Take time to nurture yourself.